12 volt, 4 batteries charged by: engine, solar panels, shore power 1 battery: 120 Ah from 2016 / 3 batteries 100 Ah from 2017. Battery charger Victron from 2017. 2 electric heating system onboard. Computer onboard with MaxSea software. Hunter 380 sailboat for sale in France. 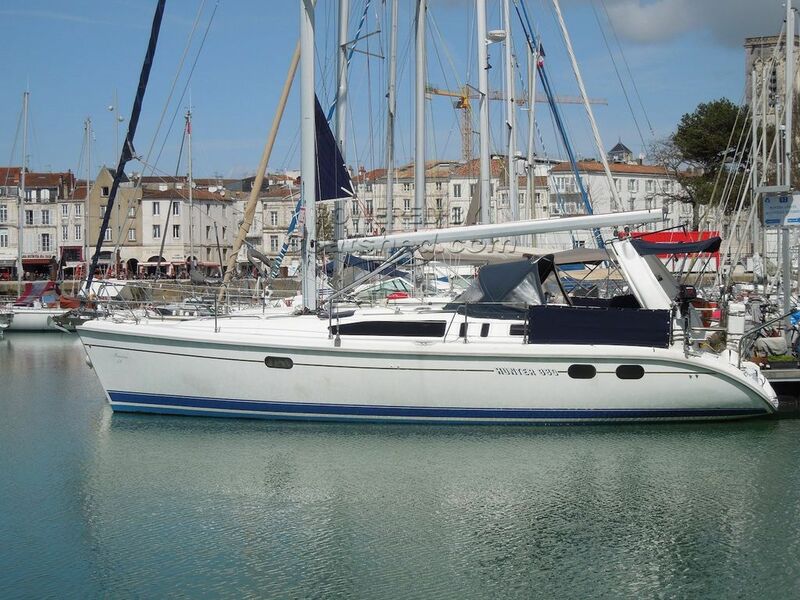 Boatshed La Rochelle is pleased to offer this Hunter 380 for sale. The Hunter 380 is a very spacious yacht. It is fitted with a large circular cockpit offering also an easy access to your dinghy via the stern. The inside is very luminous thanks to a couple of large roof windows. The owner will appreciate a wonderfull aft cabin with a 210 x 150 cm bed communicating to a shower and to the heads. The L shape galley is large and opens on a confortable saloon. Well maintained this yacht is easy to maneuver thanks to a main sail furling system. It is ready for taking you at sea with the maximum of confort. For more details or to organise a visit please contact Etienne or Yann, your local brokers at Boatshed La Rochelle. This Hunter 380 has been personally photographed and viewed by Etienne POIRIER and Yann TURGIS of Boatshed La Rochelle. This Hunter 380 Low Draft has been personally photographed and viewed by Etienne Poirier of Boatshed La Rochelle. Click here for contact details. Please note this comments section is public. Please do not post your personal details here. To enquire about purchasing this boat, please contact the broker directly at etienne@boatshedlarochelle.com. Please read our commenting guidelines before posting.